Pioneers in the industry, we offer concrete densifier, polymer concrete, concrete densifier lithium silicate, concrete patching compound and epoxy joint filler from India. A concrete densifier is a chemical applied to a concrete surface in order to fill pores, increasing surface density. We are the leading and prominent Service Provider of Polymer Concrete. 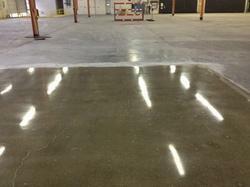 Consolideck® LS® is the premium hardener, densifier and sealer for concretesurfaces. This penetrating lithium silicate treatment reacts with the concrete to produce insoluble calcium silicate hydrate within the concrete pores. Treated surfaces resist damage from water and surface abrasion. Concrete patching compound is ready-to-use trowel applied textured acrylic for crack and small repairs. Repairsand fills surface imperfections and cracks up to 1/4" deep inconcrete, masonry, stucco, patios, sidewalks, and driveways. 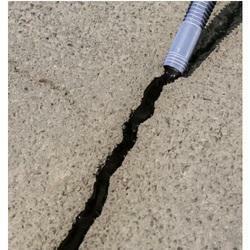 Weather-resistant - helps prevent water and ice damage to concrete surfaces. REZI-WELD FLEX was developed for use as a joint filler for saw cuts and construction joints in interior concrete floors subject to load bearing, wear or impact conditions, such as warehouse and industrial plants. 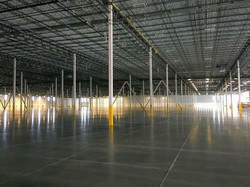 These are floors that are typically subjected to hard-wheeled vehicles (such as forklifts).